Old Southern variety originating in Craig County, Virginia. Raised for many years in the Sinking Creek area of Craig County and one of the many apples in the collection of the late Holland Caldwell. Medium size fruit with yellow skin covered with red stripes and sprinkled with gray and white dots. Yellow flesh is crisp and flavorful and slightly subacid. 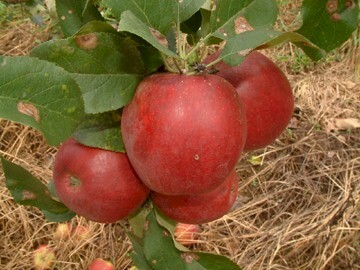 Ripens late August to early September.